In today’s ever-evolving technological landscape, choosing the right technology can be extremely difficult. The wrong decision can lead to an array of issues, the right decision can build a foundation of infrastructure that allows your business to propel to success. Making these decisions have never been more difficult however, that’s where Payneless IT can assist. If recent growth has seen you out grow your current systems or whether you wish to leverage the productivity gains of newer technologies, our team can review your current processes, business model and plans, balancing costs against performance and design and implement new technology solutions that can increase productivity, enhance communications, supply more accurate data and improve customer service. By leveraging technology to increase productivity and reduce downtime we can ensure your investment produces multi facetted returns, put simply reduce downtime, increase productivity and reduce costs such as wages. In addition it’s our responsibility to focus on the future of technology so we can future proof you, your systems and business and can recommend the next big thing, that can grow or adapt to your businesses needs. 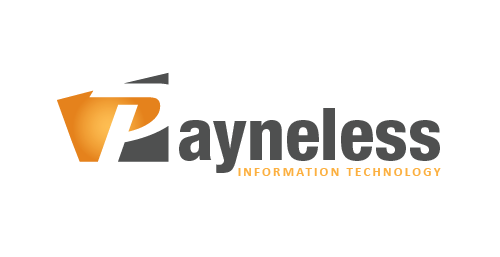 Payneless IT can be your trusted off-site IT partner whose focus is continuity, growth and sustainability for your business.